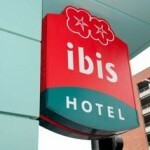 IBIS is a famous hotel brand around the world, and they always offer a good quality, and it is a safe haven, and quite some people love this brand and they always stay at IBIS hotels wherever they go. The hotel is very central, near the Castlecourt mall and walking streets. As always, IBIS takes paid for extra services, so if you want to use the WiFi, you need to pay extra for this service.